The Iceland Sustainable Fisheries (ISF) capelin fishery is the first capelin fishery in the world to be MSC certified as a sustainable and well-managed fishery. The certification includes Icelandic vessels targeting capelin with pelagic trawl and purse seine in Icelandic waters. The fishing target area is in the Iceland, East Greenland, and Jan Mayen Area within the North-East Atlantic. Capelin roe is a vital ingredient for producing masago, used in sushi in the UK, Europe and Japan. Masago are the delicate orange eggs served on the top of rice in masago nigiri. Iceland Sustainable Fisheries (ISF) was created to manage the MSC assessments of Iceland’s seafood landings. ISF has already built up an impressive list of MSC certificates including Iceland’s cod, haddock, saithe, ling, golden redfish, lumpfish and two herring fisheries. ISF is a membership organization and for seafood products to be sold as ‘MSC certified’ they need to be sold via ISF members. Capelin is an important commercial fishery for the fishmeal industry, but also supplies whole fish and roe to the global markets, especially in eastern Europe and Japan. The Capelin roes are turned into Masago which is widely used in sushi. There are only two weeks per year when capelin can be frozen for the Japanese market followed by three to four weeks when the roe can be extracted. As a result, Icelandic capelin is a highly seasonal fishery. 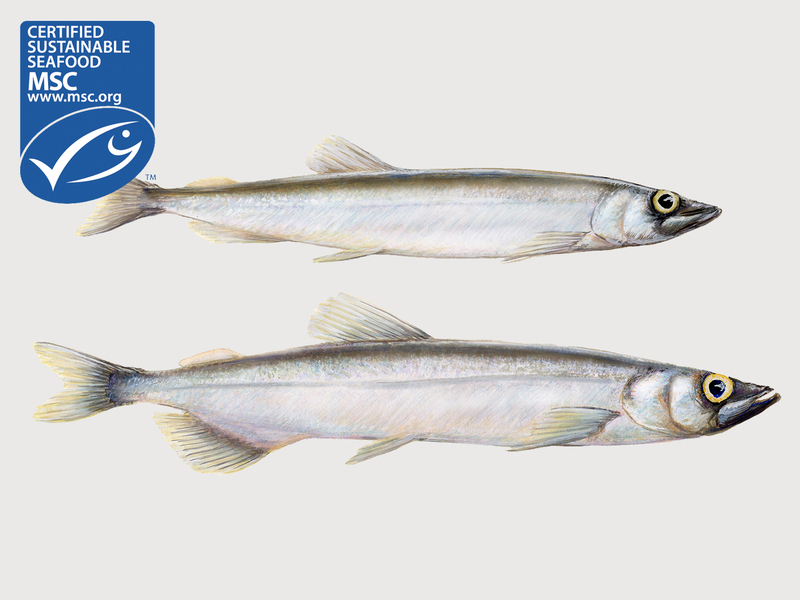 Capelin is also a key species in the ecosystem as a feed for larger species and the MSC assessment included close consideration of the species’ pivotal role in the ecosystem. It is the first Atlantic fishery to be certified under the MSC’s requirements for key low-trophic-level species. "At Iceland Sustainable Fisheries we are extremely pleased with the acknowledgement, that the capelin fisheries have been assessed as sustainable", says Kristinn Hjálmarsson, project manager at ISF. "For decades, Icelandic fisheries have been moving strongly towards sustainability, since before sustainability was a word. The simple truth is, that the Icelandic economy, the welfare and quality of living is built on the oceans resources. “It is a big deal to receive certifications under the MSC standard, it is the current gold standard in sustainable harvesting in our water's ecology. The Icelandic government and the fisheries have conversed for decades, all paddling for a common goal. All Icelandic fisheries are to be both sustainable and profitable at the same time."